When you hear the name of Levis, maybe you will immediately point to a famous American clothing brand. But besides being used as a clothing brand, the name of Levis has also long been used and known as a motorcycle brand from England. After more than eighty years being dead, now Levis Motorcycles reborn by showing off their new motorcycle named Levis Motorcycles V6 Café Racer. 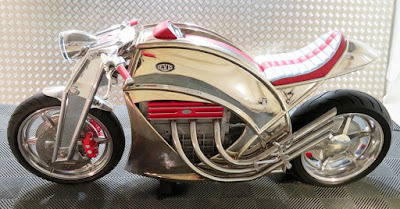 Now we look back at its history, Levis Motorcycles was founded by William Butterfield at Stechford, Birmingham UK. At the beginning of its establishment, this manufacturer was only devoted to making the 2-stroke type motorcycle engines which in the end those company continued to grow to become one of the leading motorcycle manufacturers in the UK. The British manufacturer began production from 1911 to 1941. And in its heyday, the manufacturer had given birth to the 250cc 2-stroke motorcycle which won the Isle of Man TT in the 1920s. And like most other manufacturers at that time, the 2nd World War gave a severe negative impact on this manufacturer and pushed it have to stop the production in 1946. The Levis brand remained dormant until 2014, when its rights were acquired by David Redshaw, who dreamt of reviving it. In 2017 he met with Phil Bevan, a businessman who had recently bought Connaught Competition Engines, a UK company that made a compact two-liter V10 motor for GT Racing cars. 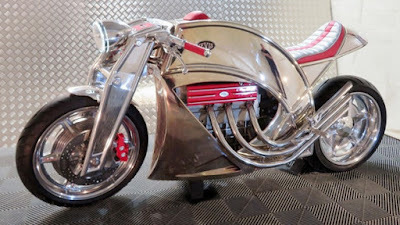 This engine was built on a modular design that allowed for easy production of V8, V6, V4 and even V2 variants, and Bevan had already been looking for a suitable motorcycle to host it. He promptly bought the brand's rights from Redshaw and together they set up the Levis Motorcycle Company in July 2017, with new headquarters in Swaffham and a clear plan in their minds. 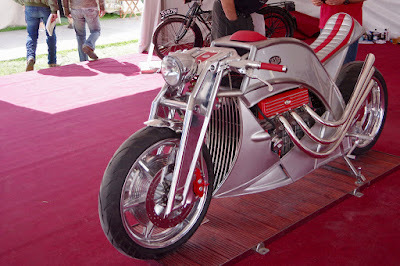 To realize his dream, he hired a designer named Steve Kirk, and began working on a motorcycle inspired by the V10 compact block. And the result is the Levis Motorcycles V6 Café Racer motorcycle figure. 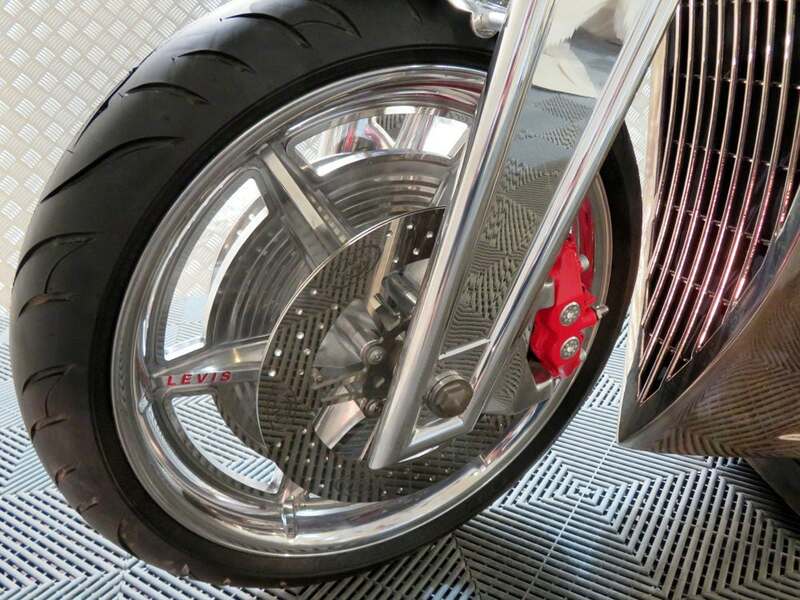 This motorcycle component is made of stainless steel and aluminum. 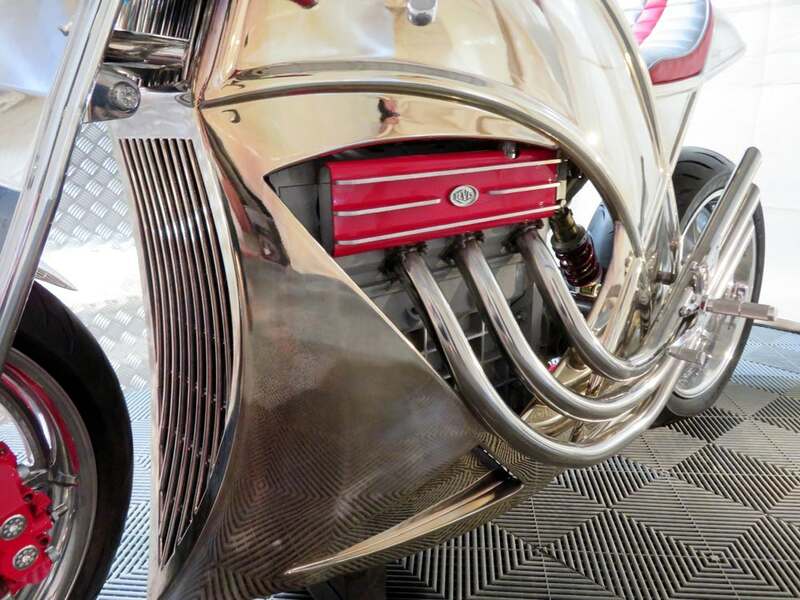 In detail, this motorcycle uses a 1,200cc V6 engine with an estimated power output of 120 hp and 120 lb-ft of torque. In addition, this 33-degree V6 engine has an ignition sequence that can be said to be different, with a sequence of 1-2-3-4-5-6. And according to the maker, by the ignition sequence like that to make the engine very smooth, so it doesn't need a balancer. 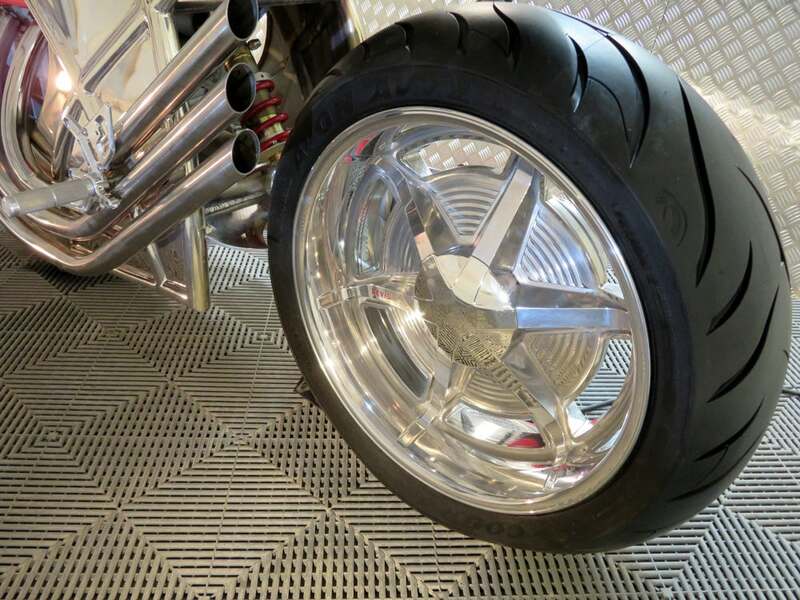 The frame is built in-house from steel tubes, featuring a Hossack-type front suspension system and a single shock at the rear. Both shock absorbers are bespoke adjustable units, fabricated especially for Levis' motorcycle by an unnamed English specialist. 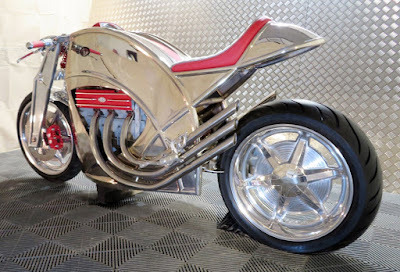 Levis also fabricates in-house most parts of the Café Racer, including the fork legs, clamps, headlight assembly, steering, hand controls, brake discs, gearbox casings and wheels – all machined from solid blocks of aluminum. This opens a wide window which Levis intends to take full advantage of, offering customizing options down to the bare essentials, such as the finish of the frame and bodywork panels. The wheels themselves, presumably tubeless, are based on an uncommon two-piece design, with two halves bound together with hidden bolts and sealed tight with a sealant agent. The semi-solid design was reportedly selected as the best combination of strength and low weight. 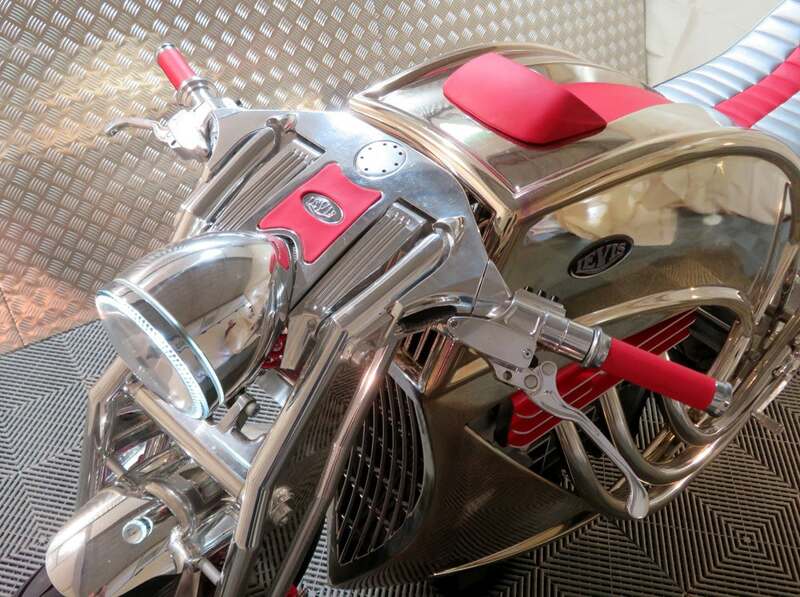 The Levis Motorcycles V6 Café Racer was greeted the world automotive enthusiasts for the first time at the 2018 Goodwood Revival in September 2018. 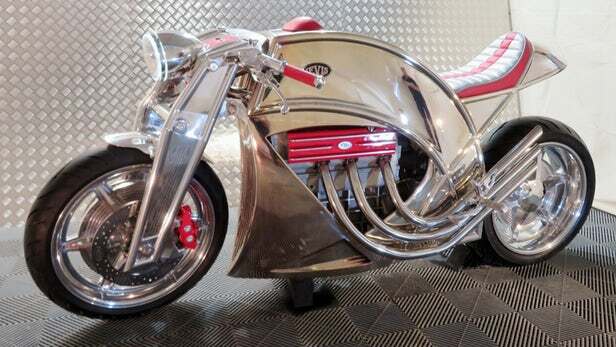 While the price offered for this motorcycle has been set at £102,000 (US $133,000) or around Rp.2 billion. The plan, the British company will also produces the supercharged engines version in a limited number and will be launched in 2020 to celebrate the 100th anniversary of its victory at the 1920s Isle of Man TT racing events.